RUSH: It’s Kathy in Alamo, Texas. It’s great to have you with us. CALLER: Oh, my gosh. I can’t believe I’m talking to you. 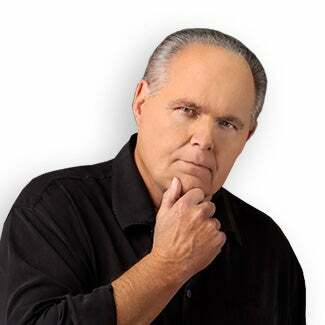 RUSH: Well, I’m glad that you are. It’s great to have you here with us. CALLER: Oh, thank you so much. My mother got me listening to you back in the early nineties. RUSH: God bless her. She also from Texas? CALLER: No, no. We’re from Pennsylvania. CALLER: But I’m a snowbird right now. RUSH: Oh, so you still live in Pennsylvania but you’re escaping the weather? CALLER: But she also got us listening to Mannheim Steamroller because of you. RUSH: Oh! Do you still like them? CALLER: Absolutely. But here’s my question that I just don’t understand. I’m hoping that you can explain it to me, because I’ve never really heard it explained anywhere else. Of course that’s with the regular media. 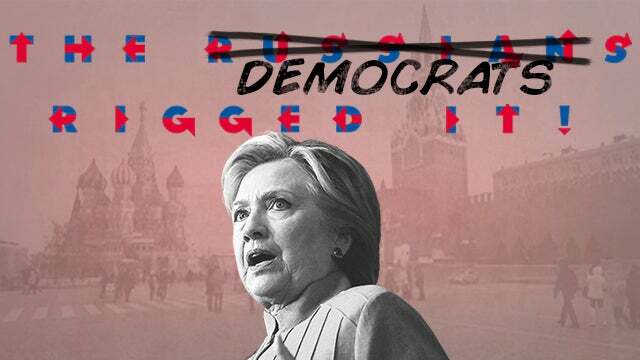 But I don’t understand why they’re all talking that the Russians were trying to get Trump elected by tampering with our election instead of Hillary. It seemed to me that it makes more sense that they would rather have Hillary, had Hillary as president, because she would continue to do basically nothing to stop Putin from any of his activities and also because of the original beauty pageant story in the hotel room and everything. RUSH: Beauty pageant story? What’s the beauty pageant story? RUSH: Wait a minute. You don’t believe that, do you? RUSH: Right. Okay, let me tackle this. Because this is actually an interesting question, and it’s come up on many previous occasions. Who would the Russians really prefer? And like you, I think that if this were a factor — and I don’t think it is — I mean, the Russians may prefer somebody, but that doesn’t mean anything. It doesn’t have a thing to do with who’s gonna win. This is how easy people are falling into this whole Russia inclusion business. I don’t mean to be harping on you out there, Kathy, don’t misunderstand. But if anybody’s gonna ask, “Well, gee, wouldn’t the Russians really rather have Hillary,” it means that you have accepted the premise that the Russians can determine who wins our elections, and I’m sorry, folks, but I don’t buy the premise! It just isn’t true. The whole thing is bogus! But it still is an interesting academic exercise to examine if they could determine who or president is, who would they prefer to be in the Oval Office? And like you, I don’t think there’s any question they’d rather have a rank amateur pushover who may not even be healthy, named Hillary Clinton in there, with her backup being the eyebrow, Tim Kaine. Now, I don’t want anybody to misunderstand. There is no question the Russians tamper, apparently. Everybody is saying this as though it’s conventional wisdom. Of course the Russians interfere, and we’ve gotta get to the bottom of it. I have yet to have anybody tell me how. They hacked the DNC server. Okay. They tried to hack the RNC server. And they’re always trying to commit cybercrimes. Correct. But there’s nothing new about that. The way it’s being presented to people, though, since this election is that the Russians can determine who win our elections, and they definitely wanted Trump, and so it happened! So in a lot of people’s minds, the election is already tainted, when the Russians didn’t do anything new, anything they haven’t been trying to do for as long as you and I have been alive. Folks, the Russians have had more success infiltrating our education system than they have our electoral system. The presidential electoral system. The Russians, who knows how many agents they have as tenured professors at many of our institutions of higher learning. Who knows how many professors are not agents but are avowed communists who had great respect for the Soviet Union? How many of them are teaching our kids now? There’s a plethora of them. The Soviet Union has infiltrated American institutions in a number of ways successfully, always clandestinely. But it’s only been this year that we finally heard about the Russians apparently having the ability to determine who wins the presidency. And I’m just gonna guarantee you that in future years, whenever a Democrat is elected, we’re never gonna hear a word about what the Russians wanted, unless they revive it during a campaign to try to besmirch the Republican candidate, which they probably will do. But there’s no way these elections can be tampered with in advance. That’s why… Did you note on election night there was an hour and a half from midnight Eastern to 1:30 where the “total” board didn’t change? They could have called the race for Trump then, but nobody did. There was an hour and a half where there were no precincts anywhere reporting, and the Drive-By Media gave us the reasons. “Well, is a late problem here in this county and that precinct. You know, they’re, uh, usually late counting over there Susquehanna County,” and they all talk about these precincts like they’re intimately aware of them. So I’m asking, “What’s goin’ on here? Nobody has counted a single vote and reported it in 90 minutes anywhere in this country?” So I asked some people that I thought would have some insight on this, and they said, “It’s because the Democrats were trying to figure out where they could get votes from to pull this off.” I said, “Really?” They said, “Yes! How do you think they did it for JFK in 1960? “They waited and they found out what they needed out of Cook County and West Virginia, and they found it. In these Democrat precincts and states, it’s exactly what happened.” Okay, well, if they’re waiting until midnight to 1:30 toward the end of the counting process, then what about all these Russian efforts to rig the thing before the election? If the Russians rigged it before the election, why is everybody waiting until midnight to see what kind of votes they need? This whole thing, to me, is a giant misdirection play and is designed to make Americans think that their presidential election can be determined by the Russians and by Vladimir Putin. In truth, I don’t think Putin cares. It’s not gonna change his attitude to the United States. He’s still gonna consider us an enemy. I think in case of Hillary, he would consider her an easier person to dupe because she is a liberal and Putin knows them backwards and forwards.